I can have my (pan)cake and eat it too. 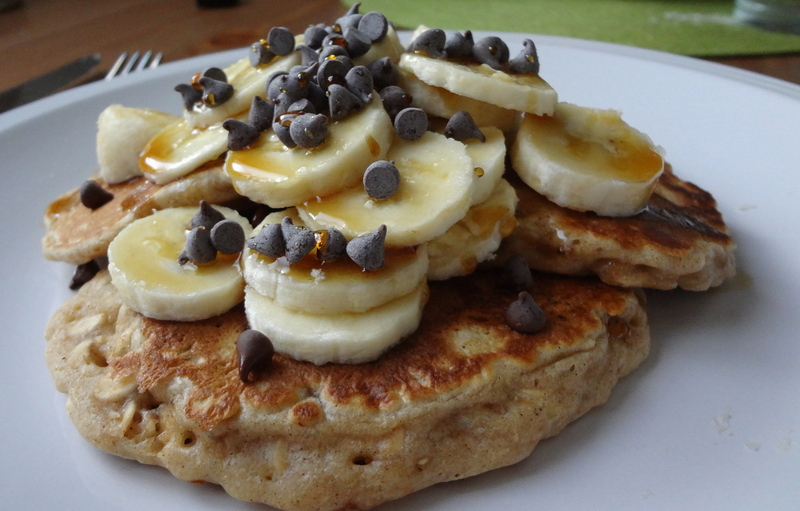 I am all for breakfasts that pull double duty, but these pancakes killed it. Flavor? Check. Healthy? Check. Keep me full-ness? Check. And they’re super easy. I made them spur of the moment with ingredients I already had in my pantry one morning. And they taste like oatmeal cookies – bonus! 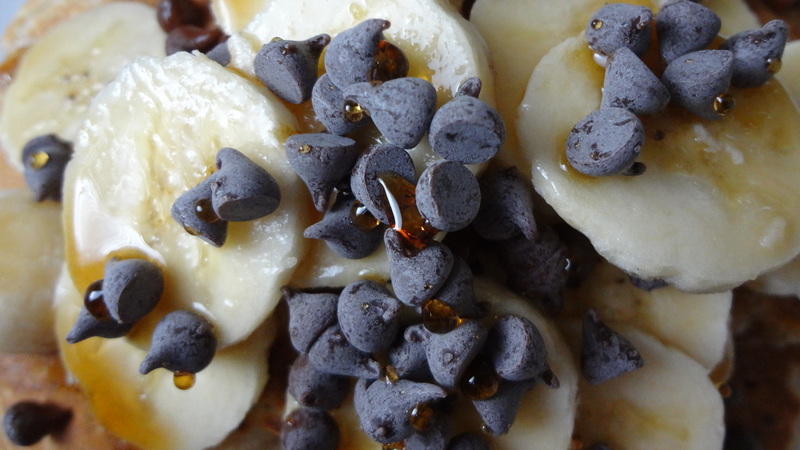 Even better when you top them with sliced banana, mini chocolate chips, and my favorite vanilla bean syrup. But really, the possibilities are endless. * If you don’t have buttermilk on hand (who really does?) just put one tablespoon lemon juice in a 1 cup container, and fill the rest with skim milk. Let it sit for 5 minutes and you have a buttermilk substitute! 1. Lightly spoon flour into a dry measuring cup; level with a knife. Whisk together the flour and the next 6 ingredients in a medium bowl. 2. Combine the buttermilk, butter and the egg in a smal bowl. Gently whisk to combine, then add the wet ingredients to the dry, stirring just until moist. 3. Pour about 2.5 tablespoons of batter (per pancake) onto a hot, nonstick griddle or nonstick skillet. Cook over medium heat for 1 to 2 minutes, or until tops are covered with bubbles and the edges look coked. Carefully flip the pancakes, then cook for an additional 1-2 minutes on that side. 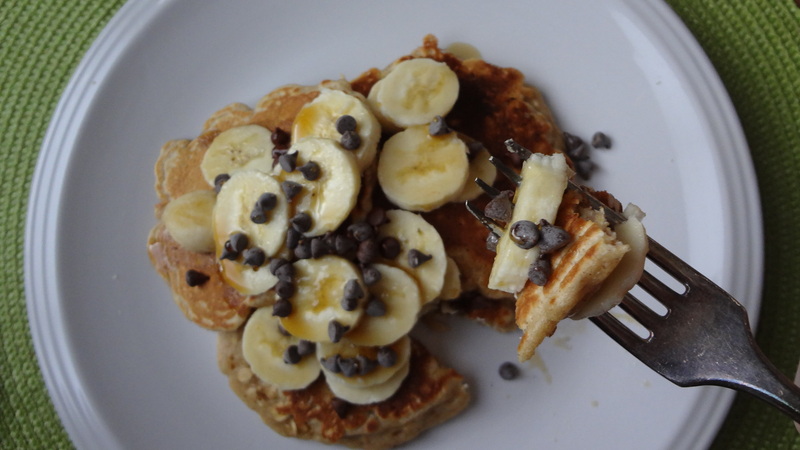 This entry was posted in Uncategorized and tagged banana, banana chocolate chip pancakes, Breakfast, brunch, Cooking Light, fast and easy, Healthy, oat pancakes, oatmeal pancakes, Pancakes by theculinarycapers. Bookmark the permalink.